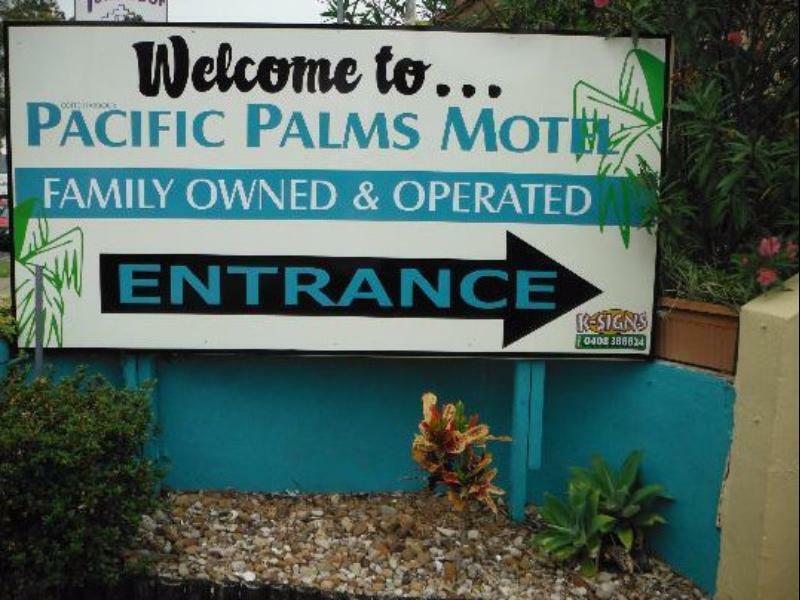 إن فندق Coffs Harbour Pacific Palms Motel بموقعه الممتاز في Coffs Harbour هو نقطة انطلاق جيدة لنزهاتك في كوفس هاربر. يقع مركز المدينة المثير على بعد 1 km فقط. كما يمكن الوصول بسهولة إلى Red Sparrow Tea Co, كوفس هاربر, ‪North Coast Regional Botanic Garden‬. إن الخدمات الممتازة وحسن الضيافة العالي في Coffs Harbour Pacific Palms Motel تجعل إقامتك تجربة لا تنسى. يمكن الاستمتاع بمجموعة من الخدمات على أعلى المستويات في الفندق كمثل واي فاي مجاني في جميع الغرف, تسجيل وصول/خروج سريع, تخزين الأمتعة, واي فاي في المناطق العامة, صف السيارات. في الفندق غرف نوم يتجاوز عددها 15، كلها مجهزة بعناية وجمال وبعضها مزود بـ مناشف, تلفزيون بشاشة مسطحة, مرآة, بياضات, اتصال لاسلكي بالإنترنت. صممت خدمات الاستجمام في الفندق والتي تتضمن حمام سباحة خارجي لمساعدتك على الاسترخاء والراحة. 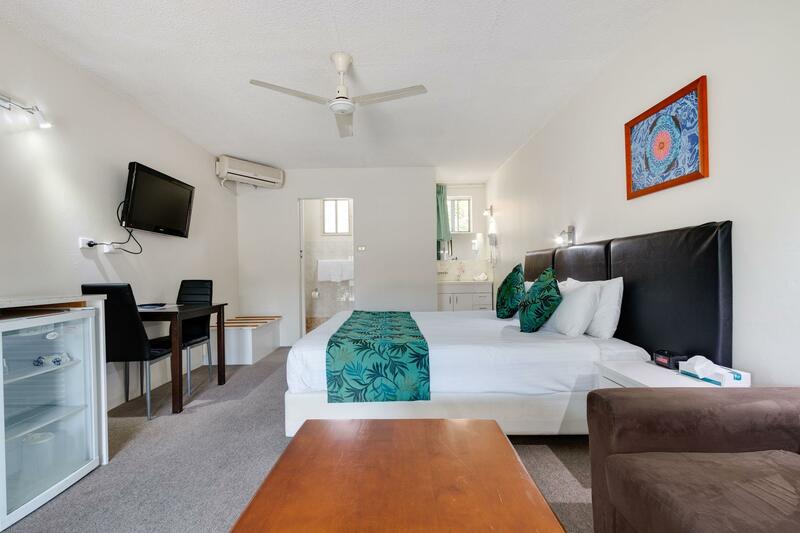 إن Coffs Harbour Pacific Palms Motel هو خيار ذكي بالنسبة للمسافرين إلى كوفس هاربر، بما يوفره من إقامة هادئة ومرحة. Our room was very clean with a super comfy bed. Air-con worked well on the extremely hot day. The owners were very friendly & obliging, very lovely family. Will definitely stay here again if we are ever needing to stay in coffs harbour in the future. Staff real great. The room was clean but really dated. Toilet and shower on top off each other. I have paid around the same money for alot better room. This really wasn't a family room, it was a standard room with additional beds. The microwave was very temperametal which made it difficult to heat the baby's bottles. The bathroom smelt strongly of stale cigarette smoke. The hand soap (at the basin that wasn't even located in the bathroom) was empty. There was only a tiny table with 2 chairs so our 'family' could not sit together to have dinner. And of course nobody was available at reception to take our keys when we were leaving in the morning. All in all, for the money we paid, we were extremely disappointed and felt ripped off. Thankfully we were only there for 1 night. Helpful staff, good for one night on way south. Close to amenities. Although on the highway there was very little road noise. Staff were more than helpful. I travelled with friends for a weekend getaway and was very impressed by the property. Certainly a bit dated but very clean and well serviced. I would recommend it to anyone. We were travelling through from Brusbane and it was a last minute booking. We were upgraded to a King room and it was great. Everything close by and good advice regarding where to eat. The reception was most helpful and friendly, shower was good and breakfast was included. Location, Comfort, Hospitality were exceptional! Michael & his wife are great hosts. We had everything we needed and they went the extra mile to ensure we had everything we needed, They also gave us valuable information for our continuing road trip. Thank you so much!!!! I would certainly stay again. 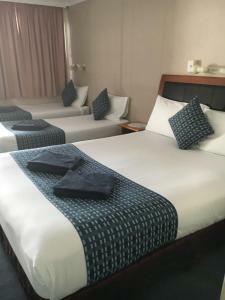 It is a no fuss, but very comfortable place to stay, within walking distance of the city centre. The service was great. The one limitation was that the bathroom was small. This is not a resort, but for the traveller passing through, ideal. Great for our stopover. Hosts knew the area and pointed us to good restaurant. Quiet spot despite it being proximate to the highway. High quality staff, service and location. We booked the Motel for an overnight stay on our way to the Gold Coast. The room was clean and the room had a fridge and a microwave which was useful. The managers were very helpful. Unfortunately the night we booked, which was Easter weekend, there were other guests who decided to party in the early hours of the morning and the noise was incredibly disturbing. Had there been a manager on site they may have been able to deal with this. Although it was a smoke free room, there was alot of smoke outside the rooms which meant we kept the window and door closed all the time. I wouldn't stay there again.